Whether you want to start small with accessories or make a bold statement with holographic jeans, the items below are fab picks for spring. 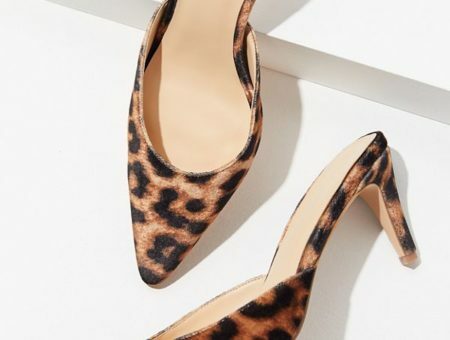 And don’t worry about breaking the bank — these items are all priced under $50! 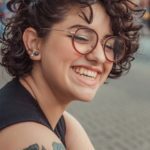 Need some outfit ideas before you try this trend? 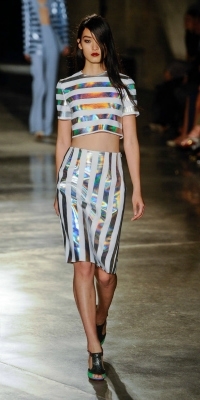 Below, we’ll show you two college-appropriate ways to wear the holographic trend this season. 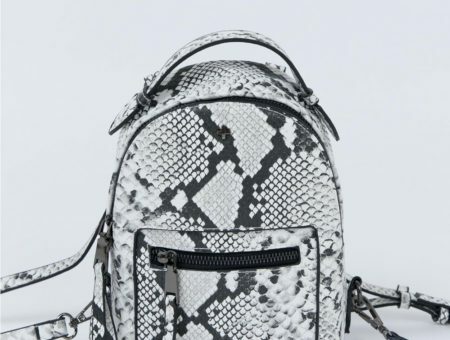 Wearing a full-on holographic ensemble may be a little too loud for an everyday look, but we think hologram accessories — like shoes, bags and jewelry — are a subtle, yet trendy choice for a day full of classes. For this look, start by pairing loose-fitting cuffed jeans with a graphic floral print top. Add a pair of statement-making hologram oxfords, which have a casual, yet fashion-forward vibe. Next, layer on a lightweight cardigan — we love how this mint-colored one picks up on the hues found on the oxfords! Last but not least, grab a neutral-toned cross-body bag and accessorize with several gold bangles. 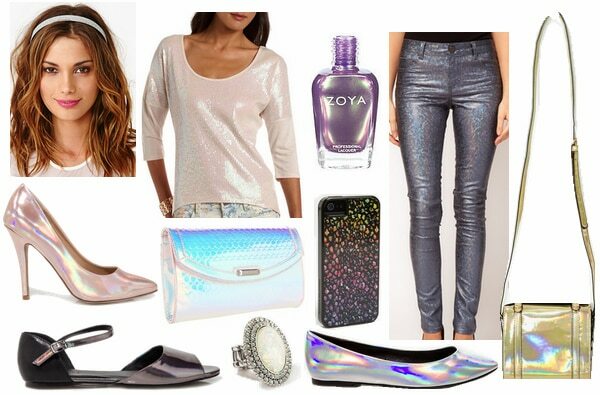 Holographic clothing is a surefire way to make a statement, so we wanted to create an outfit that would work perfectly for a fun night out. 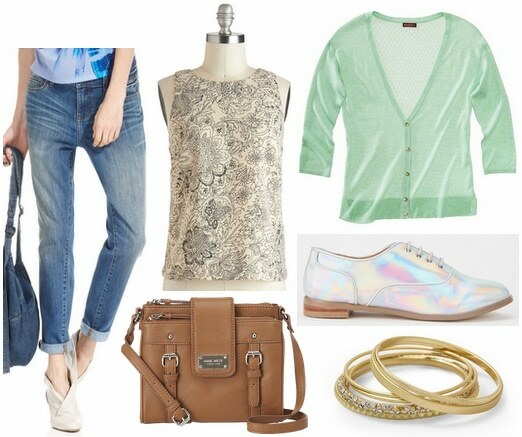 For this party-appropriate look, we centered the outfit around a hologram blouse that features trendy sheer paneling. Since the iridescent top stands out on its own, be sure to pair it with neutral pieces — like this black body-con skirt — for a streamlined look. Add a pair of sky-high wedges as well as a dark green handbag for an additional pop of color. Accessorize with edgy jewelry to complete this outfit. 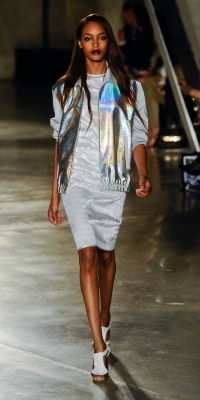 What do you think of the hologram trend? 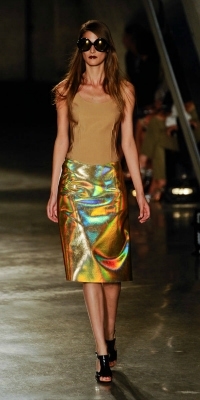 Do you already own any holographic pieces? Which of these looks is your fave? 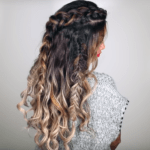 Will you be rocking this trend come spring? 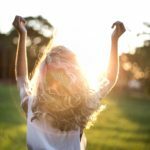 As always, remember to leave a comment below and tell us what you think! Previous Would You Wear… Floral Appliqués? Next Would You Wear… a Checker-Print Outfit?